As the craft beer industry continuous to grow exponentially, so are the number of craft breweries. Compared to just a few years ago, the amount of craft breweries popping up around the world is staggering. Emboldened by loose regulations and a booming market, the craft beer industry is exploding in popularity. Out of the 19,000 breweries in 209 countries worldwide, around 94% (17,732) are craft beer producers. This includes companies with fewer than 30 staff, produce less than 5,000 hectoliters annually or companies over 50% privately owned. While this massive amount of craft breweries are spread across the world, some countries steal the show. Thanks to tax breaks and fresh public interest, the number of craft breweries is growing 10% annually in the UK and U.S. This growth is mirrored throughout Europe, which is home to more craft breweries than all of North America combined. Fueled by an insatiable demand for new lagers, thousands of new craft breweries are opening up around the world. 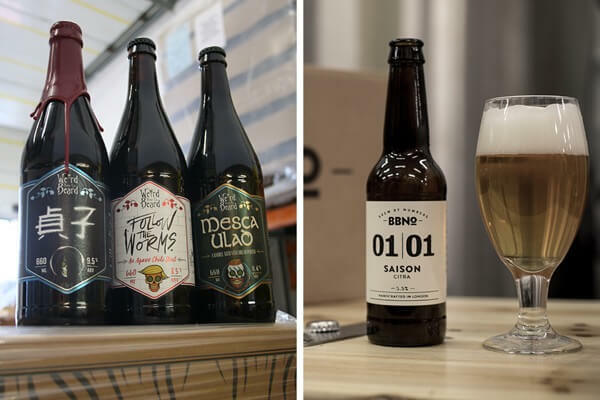 This new wave of privately owned breweries is slowly undoing the international conglomeration of the beer industry. Despite being an inspiring trend, the number of craft breweries are expected to decrease slightly as corporations buy them out. With annual growth this robust, there appears to be no stopping the craft beer industry. What used to be a niche industry has transformed into a $26 billion market in the U.S. alone. To truly understand how far the industry has evolved, examining the countries with the most craft breweries is essential. While most of the top players wouldn’t surprise anyone, the sheer amount of breweries they have will. Each country on this list has over a thousand breweries, so prepare to discover the impact of this brewing revolution! 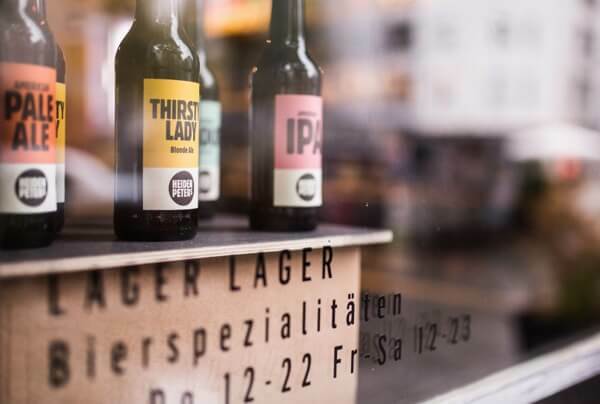 Germany has become synonymous with beer production. Country #3: Germany – Thanks to an illustrious brewing history, Germany’s impact on the beer industry can’t be ignored. Established in 725 and brewing since 1040, the Benedictine abbey Weihenstephan brewery is the oldest operating brewery in the world. Due to the tradition of monks brewing that spans centuries, Germany is home to a slew of equally impressive breweries. Boasting four breweries and 1,352 citizens, Aufseß has the highest density of breweries in the world. In total this country is home to over 5,000 brands of beer and 1,492 breweries. An overwhelming majority of breweries are craft, so Germany will continue to pioneer the industry. The UK has the highest capita of breweries in the world. Country #2: UK – Ever since a 50% tax break was introduced in 2002, the amount of craft breweries has exploded in the UK. In the last five years alone, the number of UK breweries has risen by 64%. In a single year, the amount of breweries increased 18% from 1,692 in 2015 to 1,994 by 2016. Over 2,000 breweries are operating in the UK today, which is the highest amount since the 1930’s. The craft beer sector of the UK’s beer industry grew by 23% in 2017, so consumers can expect more upcoming releases. 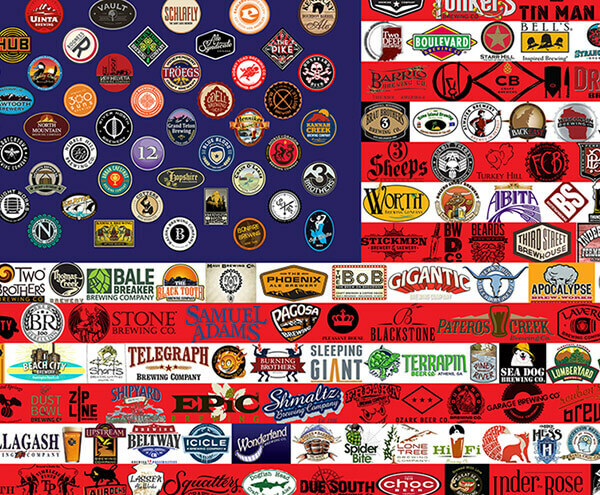 The sheer amount of breweries operating in America can’t be beaten. Country #1: United States – Ever since President Jimmy Carter allowed home brewing in 1978, America was set to pioneer the craft beer industry. Within recent years, craft beer has come trendy. Adored by millennials and baby boomers alike, craft beer has taken America’s alcohol industry by storm. Today 40% of the American population over 21 years old indulges in craft beer. On top of being the birthplace of the recent craft beer movement, America is also home to the most breweries. Out of the 5,025 breweries scattered across the U.S., over 4,750 are craft breweries. This number is growing 10% each year, which puts America on the forefront of the craft revolution.